The one-wheel electric scooter V6 is one of the earliest models released by Moben Global Inc. Even up to now, it is still hailed as the classic model in the sector. It is noted for its agility and high performance. However, there are many tips on riding FOSJOAS V6. Ben has nearly one year experience of riding V6. He is highly skilled at wheelie on V6. By means of his amazing wheelie, Ben took part in many activities in which he showed his thrilling skills. The audience are normally impressed by his skills, notably his nimble move. Here Ben will talk about how to ride FOSJOAS V6 and elaborate some tips on riding it. Ben reminds that FOSJOAS V6 is a single-wheeled self-balancing scooter. Before learning to steer it, the beginner will find it rather hard to keep balance. 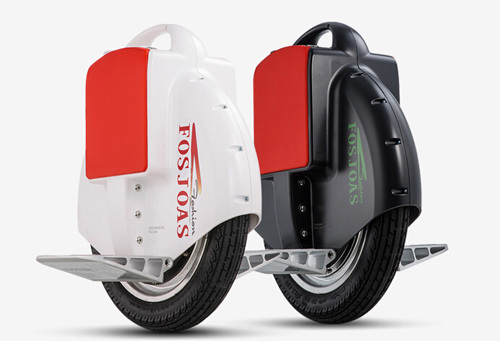 Unlike the subsequent twin-wheeled intelligent scooter V2 and the V9 which are two-wheeled intelligent scooters and easy to maintain balance, FOSJOAS V6 needs long-time practice before expertly riding it. When getting first try on it, the beginner need quickly jump onto the pedal and then try to keep balance. If slowly, the player will find it hard to go forward. Ben talks about his experience of his first ride on FOSJOAS V6. He jumped onto the pedal quickly and swiftly leaned his body to FOSJOAS forward. Although he shook on the scooter, but he soon mastered the way to keep balance. He also added that bruises and abrasion on the leg during the ride are necessary. To master it, the beginner need stick it out. Ben offers some good tips on ride FOSJOAS single-wheeled electric scooter V6. If the beginner finds it formidable to ride, Ben advises him to get a try on the twin-wheeled scooter like V2. Through riding V2, the player enhances his ability to maintain balance a lot. And then he could try FOSJOAS V6. At that time, he will find is not so hard as before.